Guess Who’s In Our Jail…. Smokey received a press release from Nashville P.D. today. If you recall on Thursday we brought you a report about a 16 year old young lady that had a bit of a scare the other day when a burglar decided to come through the window. I use the term scare loosely because instead of panicking the young lady pulled out her mom’s Glock pistol and pointed it at the suspect. Needless to say the would-be burglar had a change of heart. For the full story read Smokey’s original report below, but after the encounter (in which the suspect was able to take the Glock and a cell phone from the young lady) the suspect fled to Nashville. According to a Nashville Police Press release received by Smokey today, quick action by an alert East Nashville resident led to Tuesday’s arrest of the suspect Joshua Harvell. The citizen, who saw Harvell featured on a television newscast thought she saw him Tuesday in the area of Allenwood Drive. She contacted the East Precinct Community Coordinator Mike Fisher and provided the description of the Nissan automobile in which the suspect was riding. Fisher immediately asked the precinct’s Flex Team to check the neighborhood. Flex Officer Cole Womack spotted the car and stopped it. Harvell, 21, was taken into custody without incident and transferred to Robertson County where he is charged with aggravated burglary, aggravated assault and theft. 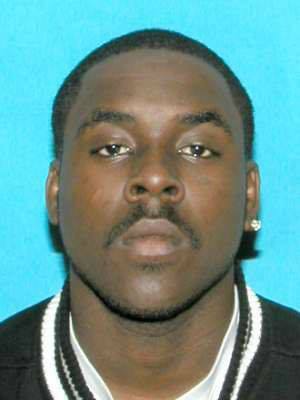 Harvell was convicted of robbery in Nashville last August. He received a six-year probated sentence. Talk about a rude awakening, a 16 year old girl with her young sister had a rude awakening this morning when a burglar decided 7:AM was a good time to break in. The home is located in the 2600 block of South Main St in Springfield and the girls mother was not home. We have decided to leave out the exact address. According to Springfield Police, the suspect first banged repeatedly on the door.The would-be burglar suspect then tried entering through a window. Apparently the suspect picked the wrong home because the 16 year old grabbed her mother’s Glock pistol and pointed it at him just as he was half way in the window. Needless to say he backed out of the window. The young lady then came out the front door to further discourage the suspect and at some point the suspect was able to take the gun from her along with her cell phone. Warrants are being obtained at this time… Any information on the location of this suspect can be called in to Crime Stoppers at 615-382-3799. or SPD at 615-384-8422 … Suspect considered armed and dangerous….